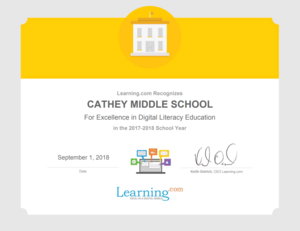 Cathey Middle School recognized as a top performing school in Digital Literacy Education. 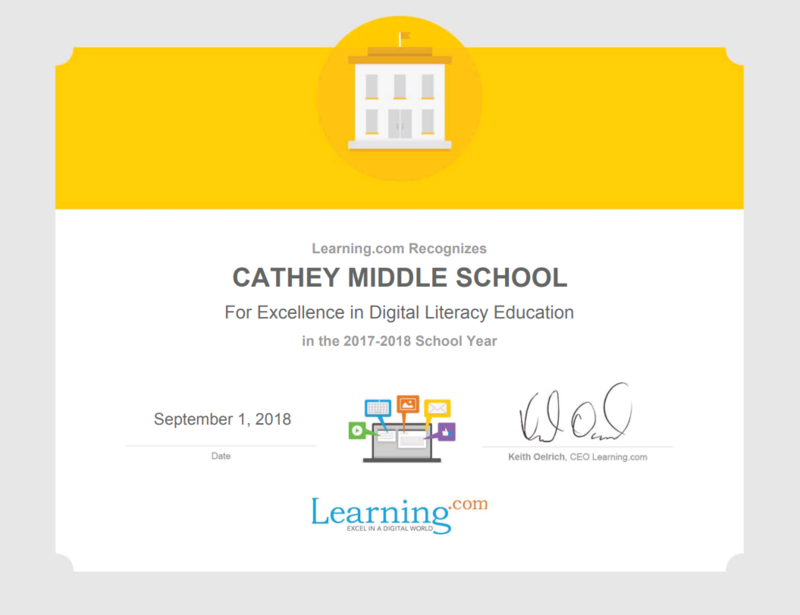 Each fall, Learning.com recognizes top schools for Excellence in Digital Literacy Education based on the depth and breadth of digital literacy curriculum used over the previous school year. It’s our sincere pleasure to inform you that your school was one of our top performers. In recognition of this achievement, we are pleased to award you with this official certificate for your school!